We are the premier online radio & podcast network for the legal cannabis industry. Alternative Talk focuses on real life every people who are positively affected by cannabis. Host Bear Syavong speaks to patients, advocates, and professionals keeping you informed on all the latests trends and advancements in the medical cannabis industry, bringing Quality of Living to Life. Alternative Talk offers real stories from real ... Maggiori informazioni people spreading the real truth about cannabis. Former High Times senior editor and columnist Bobby Black joins us each week to bring us the Burndown (a quick recap of the week’s top pot headlines), Trumpocalypse Now (a running commentary on the state of the embattled Trump administration), and Rockin’ Reviews (reviewing cannabis-related products, music, films and events). Plus, guest ... Maggiori informazioni interviews and so much more. Dispensing Cannabis business knowledge beyond a million square feet of cultivation space. Blunt Business will navigate the challenges and opportunities of one of the most profitable industries on earth. Join us each episode to hear our weekly round tables and interviews with industry professionals. Setting fire to the stoner stereotype. Sparking up candid conversations with cannabis researchers, entrepreneurs and advocates. Educator, Author and Advocate Dr. Mitch Earleywine hosts a no-holds-barred platform that seeks to re-define and revolutionize the entire scope of the cannabis culture, while opening the door for more to join ... Maggiori informazioni the cannabis crusade. On Cannabis Business Minds, Simone Cimiluca-Radzins and Kristen Yoder interview today's most successful Cannabis entrepreneurs and professionals. If you’re looking for quick, easy, and value added information about doing business in the cannabis industry, then look no more. Each episode of Cannabis Business Minds will provide you ... Maggiori informazioni valuable tips and insight from industry leaders that you can apply to your own business or career. Cannabis Curriculum, hosted by the SSDP, is a show that highlights the work students are doing to end the War on Drugs. SSDP mobilizes and empowers students to participate in the political process, pushing for sensible policies while fighting back against a counterproductive Drug War. Uniting college campuses worldwide. Cannabis ... Maggiori informazioni Curriculum will feature both current SSDP students and alumni who will discuss how they are engaged in drug policy reform on the campus, local, state, federal, and international levels. Cannabis Life Radio is Florida's Hottest Radio Talk Show! Laws, Regulations, Updates, Stories & More! 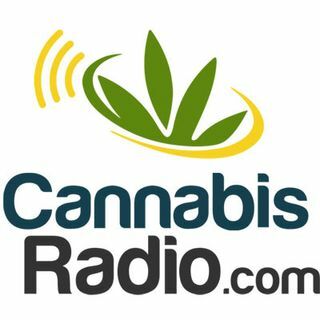 Welcome to the Cannabis Radio live stream. This stream is online and available 24/7/365. We are excited to have you become a listener and fan of the network and of our awesome show hosts. Please share us with your friends and on your social channels. This is an exclusive podcast produced daily of national headlines direct from the Associated Press. We are the only all-cannabis news source with direct headlines with a deal done from the oldest news source in the world. So subscribe today, and don't miss out on the real deal...every single day. Right here, only on ... Maggiori informazioni CannabisRadio.com. Cannabis commerce continues to cultivate new markets for adventurous entrepreneurs. CannabisRadio.com welcomes the adventurous to our weekly show brings together cannabis entrepreneurs and industry experts to discuss today’s important cannabis issues. Our discussions will chronicle the challenges faced by cannabusiness owners and the ... Maggiori informazioni battles surrounding cannabis nationwide. Teaching Canna-Business owners how to effectively manage all aspects of their business, increase profits and get results. Our expert host Kenneth Burke coaches you on the "do's and don'ts" of running your canna-business, with insight, advice and war stories from the trenches from established leaders in the cannabis ... Maggiori informazioni industry. Doc Rob takes a real, raw, inside look at healthier living while sharing great ideas and improvements for a better quality of life. The Concierge for Better Living will help informed, intrigued and interested listeners like you make better choices for yourselves and your loved ones. Fresh Drunk Stoned is a showcase of L.A. and Chicago Based comedians bringing you irreverent honest comedy. you will party, learn, and laugh. Come get to know Tim Hanlon, Franco Harris, and Matt Bellak. Our unapologetically witty approach to comedy reminds us all to laugh at life. So kick back, relax, stay fresh, enjoy a drink and have ... Maggiori informazioni a smoke! Collectively we have performed in comedy clubs all over the country from the Improvs to The World Famous Comedy Store. We have worked with comedy greats such as SNL's David Spade, Chris D'Elia, Comedy Centrals Jeff Ross, and legendary comedian Dom Irrera. We are currently booked all over the country. We have performed in about 50 cities in the last year. Our idea for the show would be a podcast talking about the experience of what it is to be a touring comedian on the road. The trials, tribulations, funny stories etc. Basically give an inside look at what life is like not only on the road, but as a comedian in general. The general layout of the show would simply be the 3 of us talking and telling stories. We would probably have to have us call in when we are all not together, but on the road we can record episodes and back log them. You probably know more about what is best for that so we are open to your opinions. Preferably keep the show under an hour. Occasionally we may invite a guest, but would only do so if it was a pretty well known person. We are friends with many bigger comedians whos interviews could bring some prestige to the show. We are currently being booked by the largest A list clubs in the country (Improv's, FunnyBone, Laugh Factory, etc) and perform in front of thousands of people in a matter of a week. So a benefit we can offer is exposing the channel to many people and different markets. We also work with many different local dispensaries and head shops all over the country. We just had Eddies Headies sponsor our show in Springfield. Those businesses could definitely become sponsors and advertisers on the show. Below I have attached links to our website and Facebook page if you would like to get a better idea of our brand. If you have any additional questions please feel free to ask. Look forward to hearing from you soon. Thanks! GrassRoots Marketing curates thought-provoking dialogue with an exclusive class of thought leaders who will offer high-end round table business strategies and solutions that seek to prune and harvest great ideas in each 30-minute episode. We will also explore the landscape of the states seeking to legalize and their coming initiatives. ... Maggiori informazioni Thought leaders in the cannabis industry convene here to share some of their best practices and protocols. Let’s chart the growth of this burgeoning industry - one of the world’s premier cash crops. Healthy Plants. Healthy People. Harvested by SanSalCBD.com, Hemp Health brings to light to the fast-growing hemp industry . Hemp Health is devoted to helping individuals and families better understand the significant benefits which will help improve your lifestyle naturally. Hempire is a weekly show dedicated to exploring the non-psychoactive side of the cannabis plant. Hemp was once a cornerstone of the American economy and is currently used in over 25,000 products including paper, textiles, construction materials, health food, and fuel. Tune in and discover all there is to know about this wonder crop that ... Maggiori informazioni is now making an historic comeback. Sowing the seeds of cannabis and sounding the praise of our favorite plant. It's time to Hempresent! Our radio resident Hemposapien, Vivian McPeak will present a weekly platform for guests and listeners to Hempresent about hemp and cannabis from the legal, activist and reformist route. Infusing the benefits of proper nutrition, supplementation, and personal development to live a healthy and abundant life! Phoenix, Arizona-based nutrition and wellness center owner and health coach Audrey Kerger will be your personal advocate for living a healthy and active lifestyle. Knowledge is the key. Keeping you in the know... on Just Say Know. Just Say Know talks to patients who have used cannabis to treat their medical symptoms and create a better quality of life. Each week, we will tackle a chronic condition by talking to patients, doctors, and researchers with the goal to helping you live, learn and thrive. Our mission is to discuss extraction, processing, business practices and lessons learned with the established experts of the extraction process. Mission: Supercritical is presented by Apeks Supercritical, the leading CO2 extraction equipment manufacturer. The host of our program who navigates our broadcast is a US Navy veteran, and the ... Maggiori informazioni founder and president of Apeks Supercritical, Andy Joseph. NCIA’s Cannabis Industry Voice covers a range of topics including the rapidly evolving political and policy changes that affect our industry, news and events of importance to cannabis professionals, and features on companies, individuals, and campaigns at the cutting edge of the cannabis industry. Welcome to Rollin' with Ngaio! Join us every week as intrepid Chronnissuer Ngaio Bealum talks about life from the road. Every week brings a new city. Every week is a new adventure. Every week three are buses to take, foods to eat, friends to make, ideas to share, and joints to smoke. All ... Maggiori informazioni that, and dessert first. Growing Green to Generate More Green. Each week, we plant the conversational seeds about cultivation and the changing climate of Cannabis Culture. Multi-Award Winning Growmaster and Respected Cannabis Consultant Kyle Kushman peels back the layers of benefits of the world’s most versatile plant…from food to fuel…from remedy to resource. The Marijuana Solution is the premier medical marijuana and recreational cannabis podcast. Host Robert Roundtree speaks with leading cannabis industry professionals, politicians, advocates, and patients. The Marijuana Solution provides an unfiltered platform for the cannabis industry to inform and educate patients, entrepreneurs and ... Maggiori informazioni policymakers breaking the latest news from around the globe. The newest & greatest potcast in the galaxy, The Real Dirt with Chip Baker - your insider industry connection to accurate and entertaining information about cannabis technology, production, cultivation and everything in between. The Real Dirt with Chip Baker is a potcast series featuring the cannabis industry's expert pioneer ... Maggiori informazioni growers, venture capitalists, lawyers and dispensary owners rolling joints and dropping knowledge about cannabis technology, production, cultivation and everything in between. The future of legal cannabis has arrived and we want to give you The Real Dirt with Chip Baker. The Stoner Jesus Show, the greatest podcast of all time. Join SJ and his sidekick St. Peter as they bring radio to new heights of debauchery. In our more serious moments we advocate for an end to The War on Cannabis users, the full and complete legalization of cannabis for all persons over 18 years of age and the release of all ... Maggiori informazioni non-violent cannabis offenders from jail.